Goals. They are everywhere. Or, at least they should be. Sometimes we do things that we don't know where we're going with them. If everyone had goals in life, big and small, everything would be much more enjoyable. When y'all are headed somewhere, it's much easier to know where y'all are going. Not knowing where y'all are going make y'all think "Where am I headed with this?". If what y'all are doing doesn't please y'all or it doesn't work towards your goal, what's the point in doing it? Pass the Parelli Levels. I want to develop my horsemanship skills as much as I possibly can. 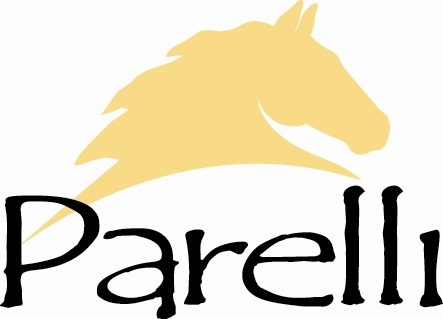 Attend the Parelli University. I would like to become a Licensed Parelli Professional when I am older. This is my first career choice. Become a licensed farrier. Being a farrier seems like an interesting job. Even if I don't work full-time as a farrier, having the knowledge would help me with my own horses. This would same me money, as I could trim my horses' feet myself. This would prevent me from having to pay someone else to do it. I could use my farrier skills as a part-time job. Purchase my own stable. Having my own stable, where my horses will live, would make everything so much better. It would become home base for my Parelli teaching career. I also had this idea that I could share the farm with one of my Parelli Pals and we could run the place together. Equine rescue. I have always wanted to get involved with equine rescue. There are none in my area, so I would love to start one myself. This would give many horses a second chance at life. Win the lottery. This one isn't really a goal. It is more of a dream. Everyone would love to win. It's all about luck. Hopefully, one day, I'll get lucky. Sometimes you really do need to dream big. Goals need to be set. Otherwise, y'all would get lost. Y'all wouldn't know where y'all are going. Y'all would get confused, stressed out, and unhappy. Nobody wants that to happen.